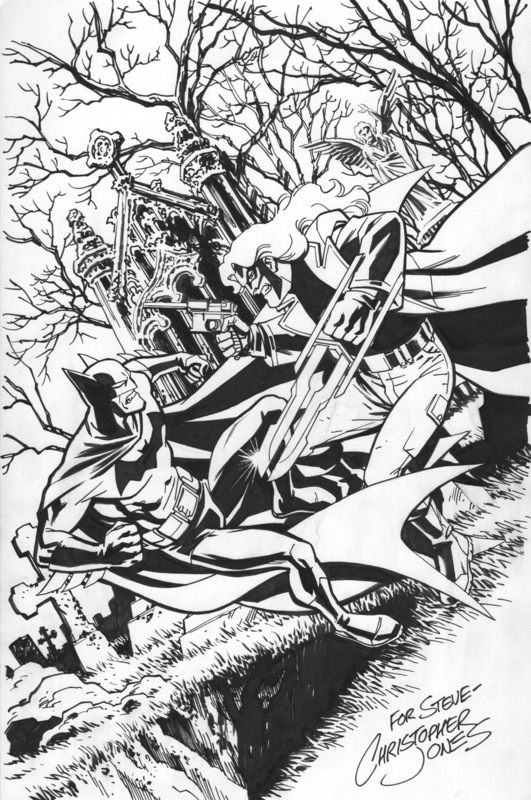 Here’s a piece I just finished for my good friend and collaborator Steven Philip Jones featuring his character Nightlinger fighting The Batman. I wanted to share the piece in general, but it also nicely dovetails with my current offer of accepting commissions online for sketches and illustrations. 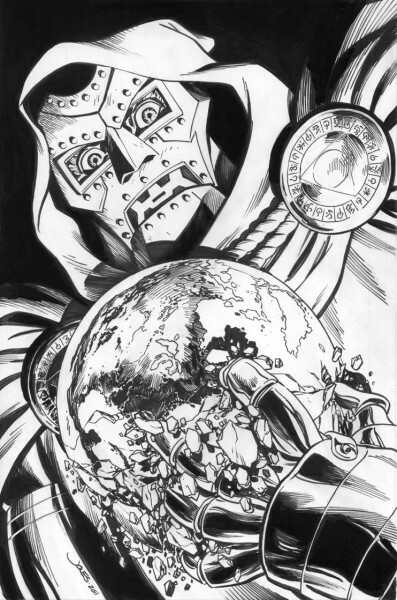 This is a nice example of a full illustration commission, as is the Doctor Doom piece below. They’re both drawn in ink on 11″x17″ bristol art paper. You can read more about ordering a commission piece from me here.